Clubbing, anyone? | Midnight Crafting Midnight Crafting: Clubbing, anyone? Are you interested in an economical, regular crafty stash fix?!? Then why not join my Crafters 6 Club and earn some FREE goodies! The Club will run over 6 months and will require 6 people to sign up. Each month every member will spend just $25 (+tax/shipping) which will add up to a Club total of $150 each month. This is equivalent to a Virtual Workshop, which earns a Level 1 hostess stamp set plus $15 of Stampin' Up! crafty goodness from the catalogue. Each month a different member will take a turn at being Hostess. In your Hostess Month, which will be picked as you sign up (first come, first pick! ), you will also have the option of having friends or family place outside orders to increase the Hostess Benefits for your month. This is a Virtual Workshop Club, so you do not have to make time on your calendar to meet, or clean the house for guests, or travel through traffic. Just browse through the catalog at your leisure, make a wish list, place an order with me by a certain date each month, and look forward to your crafty supplies being delivered to your door! 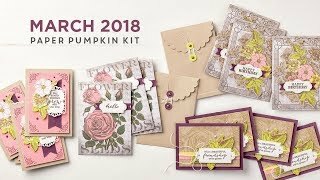 I will also send you a monthly newsletter highlighting the current Stampin Up promotions, and a sneak peak at upcoming deals as well - the inside scoop as it were! Once you have joined the Club I will send you a free Stampin Up! Catalog and Idea Book (worth $9.95) so that you can see all the beautiful stamp sets and paper and tools and craft supplies you will be able to choose from, and you can get that Wish List started! 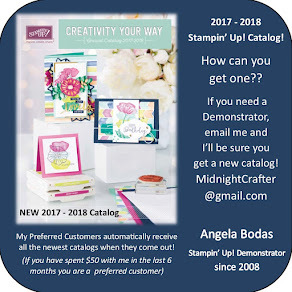 If you are interested in joining in, or require further information please email me at angelabodas@comcast.net or complete the Contact Form at my Stampin' Up! website, please mention your interest in the club in the comments field. Think you can't get much for $25? Think again!! Stampin Up has a wide variety of products at every price level! Interested in hosting your Own Virtual Workshop? or need another party solution to fit your busy life - Contact me! I have a ton of ideas for alternative events that might work for you!